Emotional bride. That’s such a vague term. Of course a bride, or a groom for that matter will have plenty of wedding day emotion. But emotion doesn’t have to mean just tears. And the wedding day will bring so much more than tears. There will be soaring happiness. There will be moments of quiet reflection and introspection. Emotions on the wedding day will include a deep sense of connection, to your new spouse as well as to your family and friends. At their Canfield Casino wedding, our bride Kendra looks at her new husband Brendan sharing a quick a quiet moment between the two of them. The party in the ballroom may have been in full swing with partying and dancing and visiting and people having fun. But the two of them momentarily and fleetingly connected amidst all of the partying. And together they shared a simple moment, just a bride and a groom at their wedding. At a historic Saratoga wedding venue such as Canfield Casino it’s easy for a traditional wedding photographer to be focused on the details, the architecture. the feeling of a luxury wedding that this one of a kind space gives. 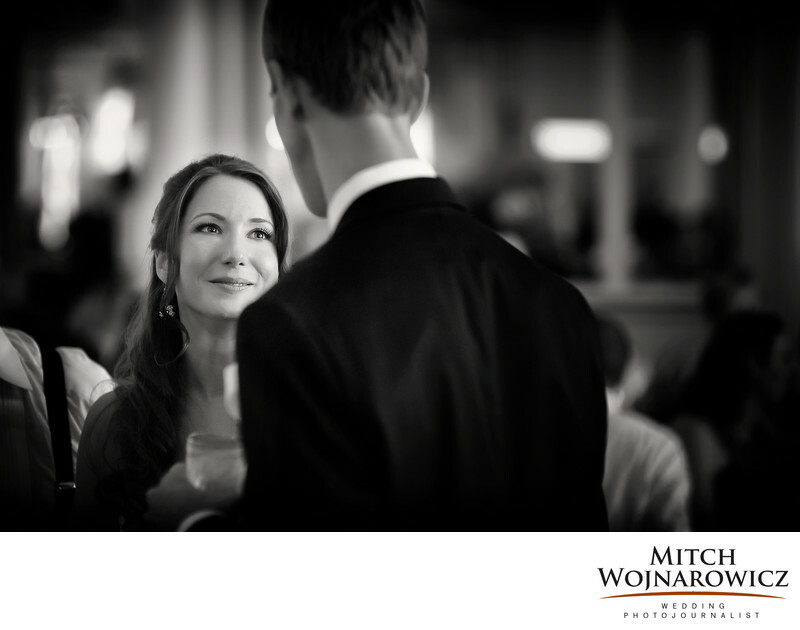 As a Saratoga NY wedding photographer and more specifically a saratoga wedding photojournalist I keep looking after we’ve taken those standard pictures. I work to see and to find these moments that speak to the feelings a couple has for each other. Photos that speak to the reason they were married in the first place. Looking for great Canfield Casino wedding photos? The day is all about moments. And not just about poses. Sure, I can make some very nice posed family formals for you. And we’ll surely do some of my favorite relaxed wedding portraits. But I’ll always be looking for the beautiful simple moments where just a look can speak to who the two of you are, together. Speak to a Unique Saratoga Wedding Photographer Today. Just Click This Link and you can send me a message.